A highlight of the Week, the Ile-de-France Disability Employment Forum at the Halle Georges Carpentier enjoys very good accessibility conditions. 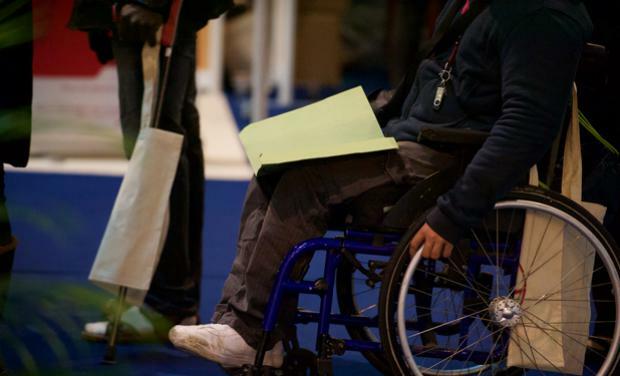 In the region, the LADAPT teams in charge of the European Disability Employment Week actions make every effort to welcome you in the best possible conditions. Feel free to contact the action organiser for any specific assistance (French Sign Language interpreter, accompanying guide, etc.). The Halle Georges Carpentier site enjoys very good accessibility conditions. The forum will be accessible to all from 9.30 am to 6 pm. You can refer to the infomobi.com site (a service providing information on transport accessibility in Ile-de-France) to help you plan your journey. On site, we make every effort to make your visit to the Forum easier. Accompanying guides can help sight-impaired people around the Forum. Feel free to ask for one at the reception stand. 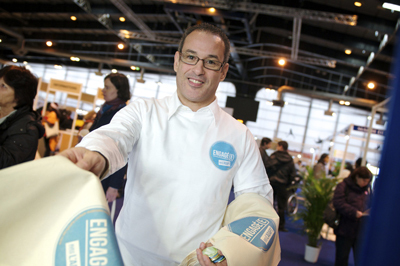 For people who are deaf or hard of hearing, French Sign Language (LSF) interpreters will greet you at the reception stand and can answer all your questions. LSF interpreters can be identified by a badge.